So the buzz last week at the e-Learning Guild's Learning Solutions Conference in Orlando was all about Articulate Storyline. "We are indeed building an amazing new e-learning authoring tool called Storyline, while at the same time working on exciting new enhancements to Articulate Studio." So. For those of you who saw the demos last week, what do you have to say? Does Storyline live up to the buzz? Can you hardly wait to get your hands on it? Ellen Wagner has kicked it up a notch. 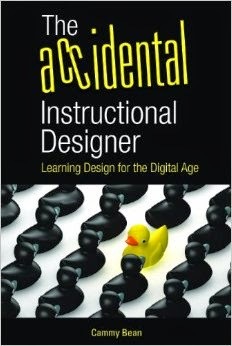 Not only has she quoted me talking about naked kids on playgrounds in a new academic journal called the Journal of Applied Instructional Design, but she’s also elevated the conversation regarding the disconnect between Instructional Design degree programs and the real-world of corporate ID. According to this latest report, eLearning salaries worldwide grew 2.0% this year. Did yours? Are you in range with the average global e-Learning salary of $76,852? (in the U.S. it’s reported to be at $79,890). I had great fun being a guest on elearnchat (@elearnchat) this week with Terrence Wing (@terrencewing) of Liquid Learn and Rick Zanotti (@rickzanotti) of Relate Corp.
1) You can listen to us talk about eLearning design, including the challenges of doing learning design in a One-Stop Shop and how to bring humanity (and nuns back into eLearning). 2) You can hear me use such terms as Clicky Clicky Bling Bling, “Thought Leader” and hightopping. 3) You can hear some seductive theme music and see some interpretive dance moves. What is elearnchat? Why, it’s a weekly online talk show focused on…eLearning. Recent guests have included Brent Schlenker, Koreen Olbrish and Nicole Fougere. Upcoming guests include Aaron Silvers and Kevin Thorn. Totara is now available for your hands-on demoing pleasure. 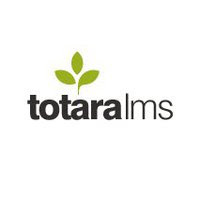 What is Totara? Why it's a custom distribution of Moodle, specifically geared the corporate sector with learning plans, detailed reporting and classroom management, among other useful features. And did I mention that it's open source?